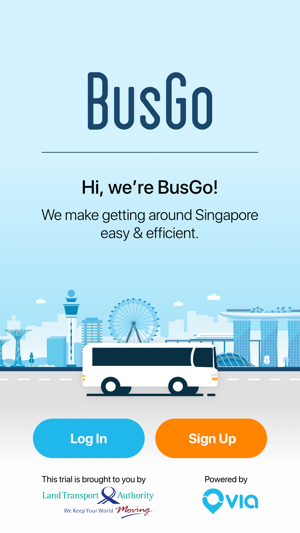 BusGo: On-demand travel and convenient, seamless journeys on public buses in Joo Koon. 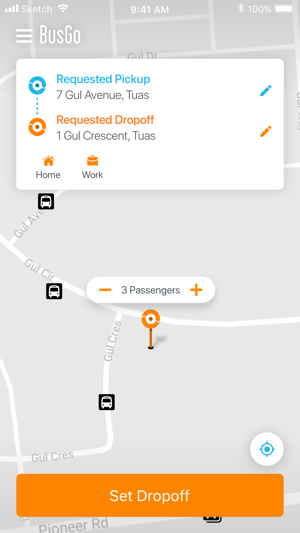 BusGo is an On-Demand Public Bus (ODPB) service brought to you by the Land Transport Authority (LTA) of Singapore, powered by Via Transportation, Inc. The ODPB trial is an initiative by LTA to evaluate the feasibility of operating public bus services based on real-time commuter demand and along dynamic routes, instead of plying fixed timetables and routes. During the trial, you will be able to request pick-ups and drop-offs at any bus stops within the defined area in Joo Koon through the BusGo app. With the ODPB, you can expect direct journeys without the need to make transfers, making your commute more seamless and convenient. Just download the BusGo app today and book your ride. It is as easy as a tap of a button. - Operating Hours: 11.00am to 3.00pm and 8.30pm to 11.30pm on weekdays (excluding public holidays). - Fares: Equivalent to a fixed distance of 3.2km, regardless of distance travelled. Distance-fare transfers and concession fares will continue to apply. How do I use BusGo? 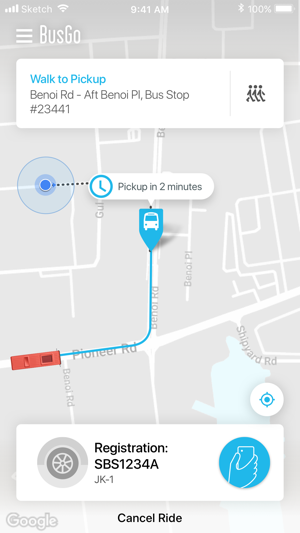 - With the BusGo app, you can use the drag-and-drop pin or text input function to key in your desired pick-up and drop-off locations, and BusGo will process your booking request in real-time and match an available bus to pick you up or advise if a regular public bus services can serve you better. You'll always get an accurate estimate of your bus arrival time before booking. 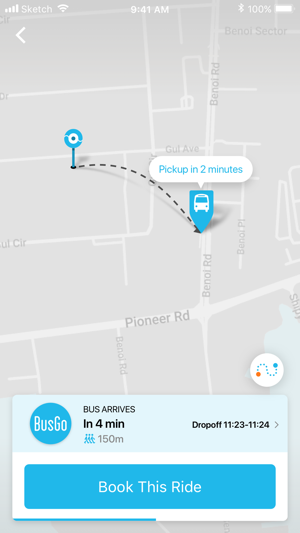 You can also track your bus in real-time in the app. Update. Total use of this app to date, three times, this app need to provide user the view of number of booked passengers even after been accepted by the bus captain. Had encounters bus captain that just press and accept all his booking and everyone phone booking just switch out to a different view, thereafter bus captain keep asking if ppl have app booking, and we have to tell him our booking passengers numbers. Poor performance, really long waiting time 15-20 mins wait due to poor traffic in benoi area. The waiting time is as long as normal bus with their super long frequency. Very bad implementation.